Available Now With No Chain. Ideal first time purchase or Investment. Spacious 2 Double Bedroomed Apartment. 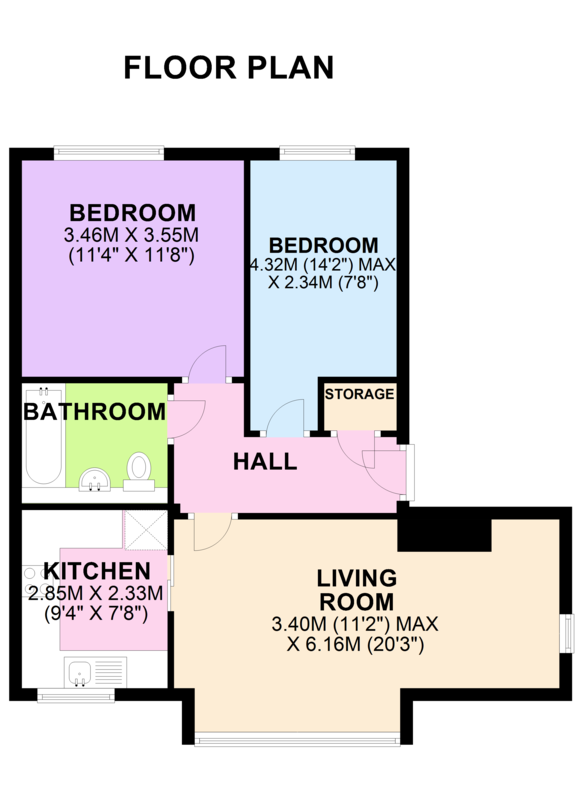 The modern kitchen has all appliances inbuilt, lounge/dining, 2 Double Bedrooms. This property is located just off the main kingstanding road which has on the doorstep transport direct into the city. This Modern Apartment is set with in a small secured block on the second floor. Leading from the front door is the main entrance hall which has doors leading to all rooms. There is a good size storage cupboard. Great size bedroom with high ceilings plenty of space and light giving you room for all your bedroom furniture. Also a double bedroom ideal space for children. Modern decoration and cream carpets. Large bathroom with tiled floor built in sink and toilet, large bath with shower above.